Whether or not we like it, or plan it, vacation often takes a toll on us! We walked a lot while in Seattle, but we also ate a lot! We did a lot of good eating. Everything is just so fresh and local out west. It’s hard not to try it all! 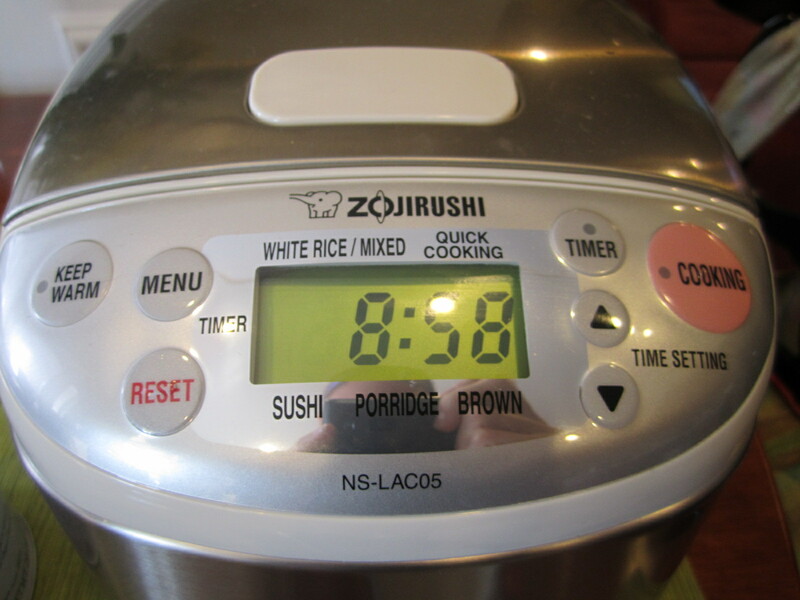 For breakfast this morning, I finally tried out the porridge setting on my rice cooker. 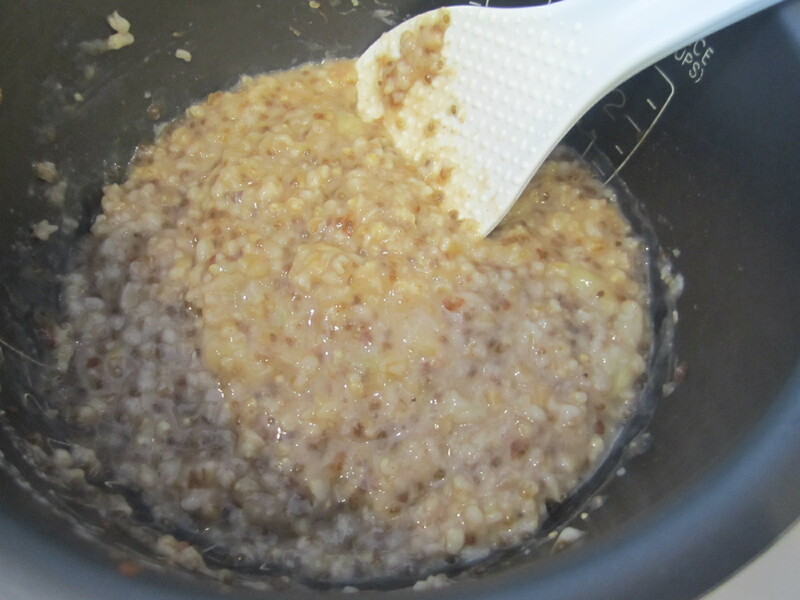 I have been wanting to try this out for awhile, but finally decided to give it a go after reading more about how delicious your oats turn out from Emily at The Front Burner. 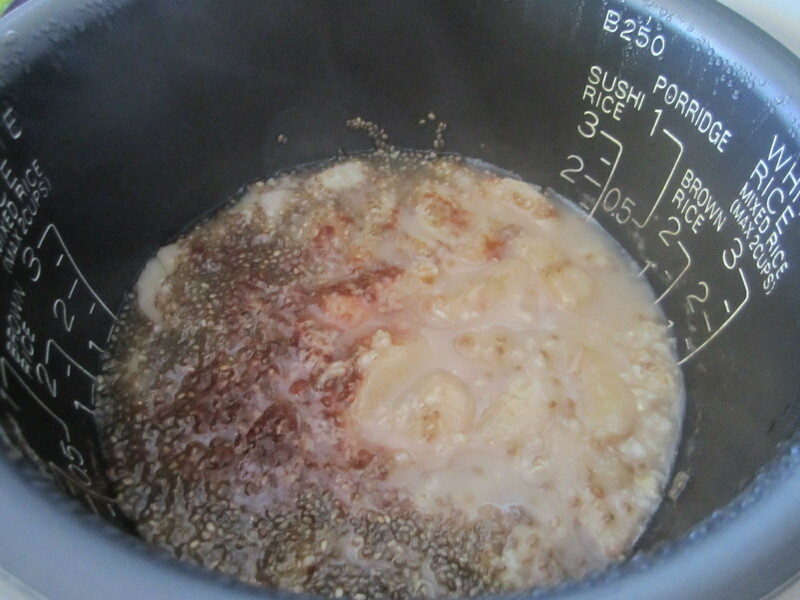 She gives an excellent tutorial on How to Cook Oats in a Rice Cooker, so check it out here! I followed Emily’s instructions and set up my oats in the rice cooker last night. I set my timer to have the oats ready when I woke up. It looked exactly like Emily said it would, a little soupy on top. But, once mixed, they were perfect! Perfectly cooked. 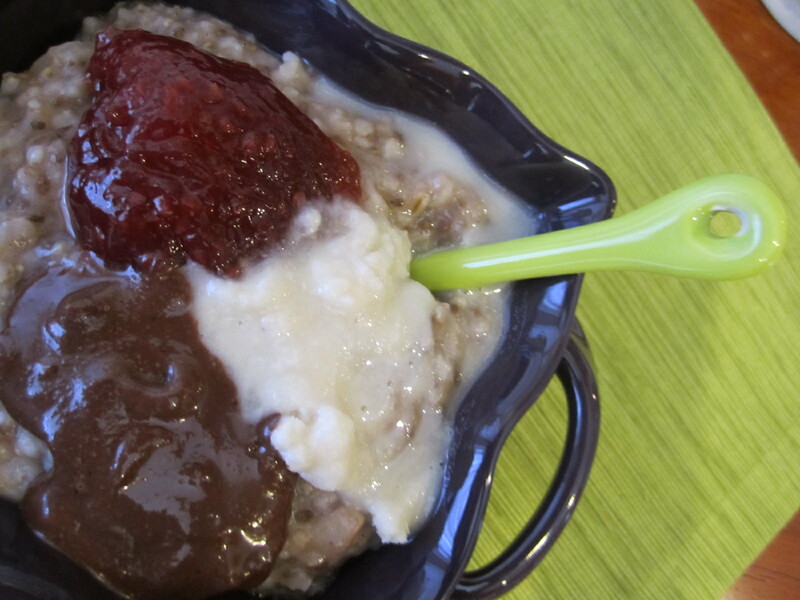 I topped my oats with a trio of fun: chocolate hazelnut butter, coconut butter and raspberry jam. 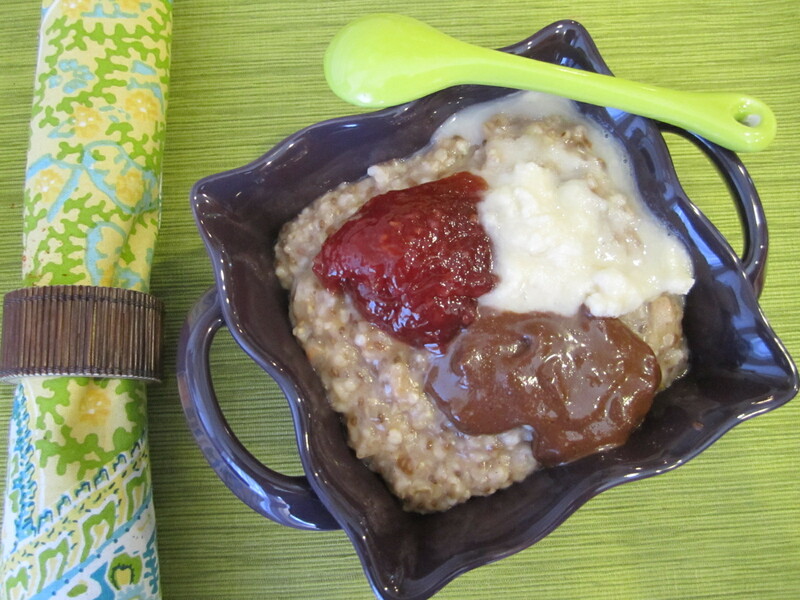 These oats were delicious! And, I didn’t need to spend 40 minutes cooking them and watching the stove this morning. Instead, I woke up to a wonderfully filling breakfast. 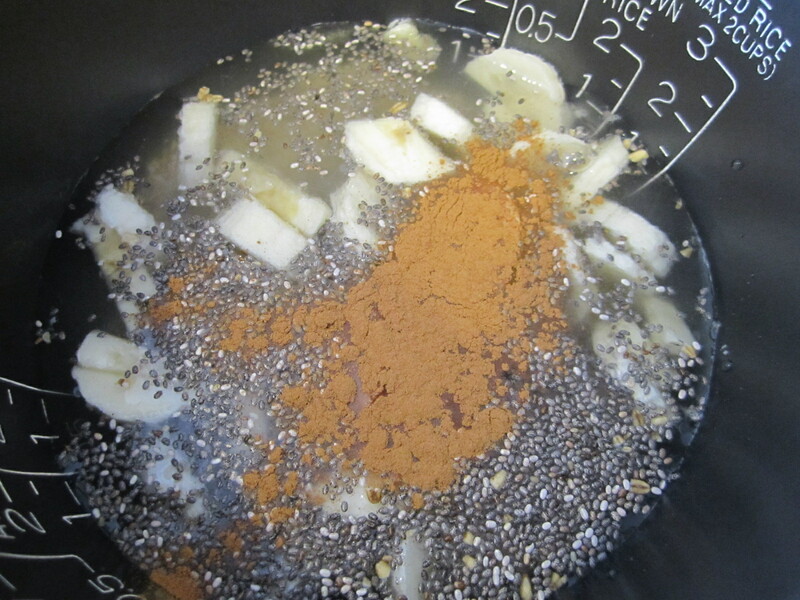 These oats held me over until about 11am, when I snacked on a golden delicious apple. 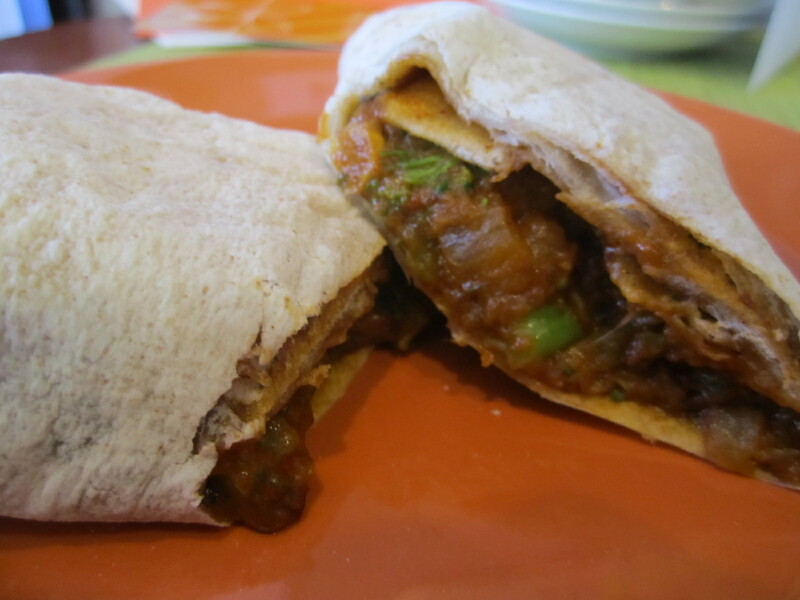 Then, it was time for lunch! 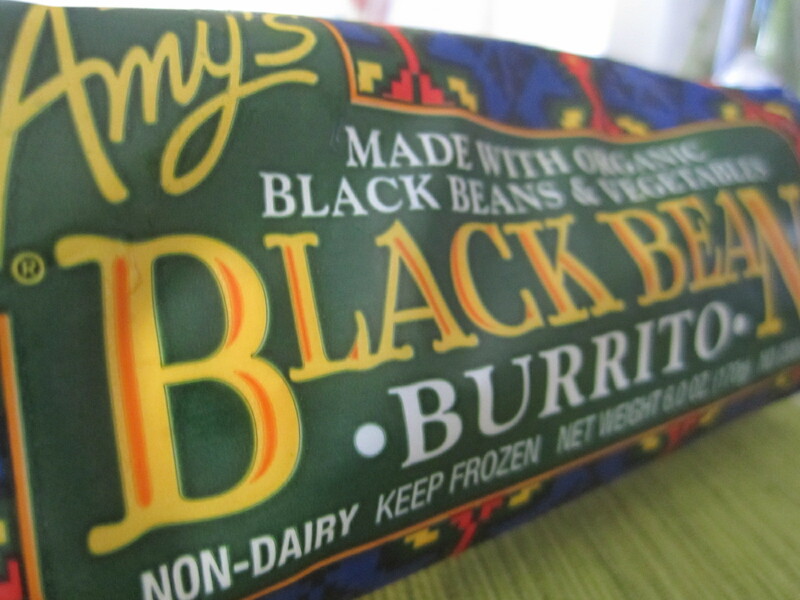 I grabbed something easy today, an Amy’s Black Bean Burrito filled with black beans and veggies. I like these for days when I don’t have time to pack a lunch. They are filling and the ingredient list does not include anything scary. 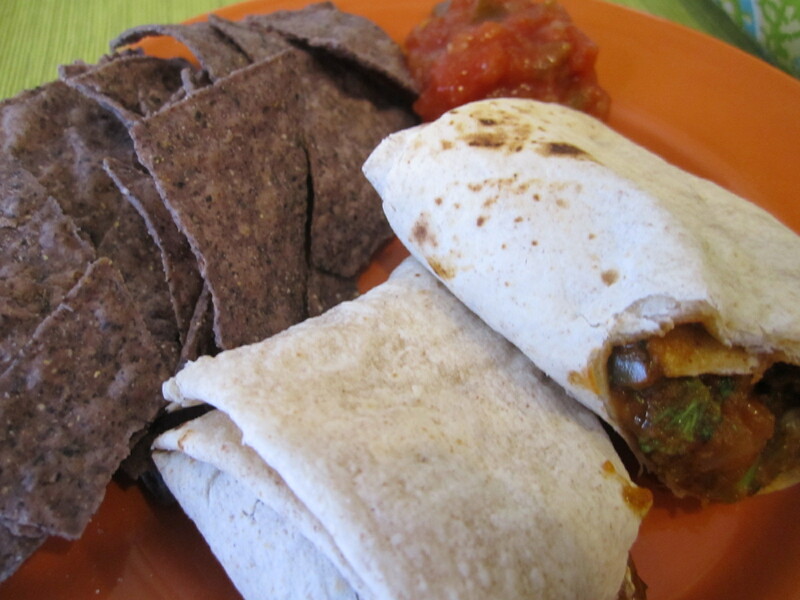 With a few blue corn chips and salsa on the side, and some unpictured grapes. 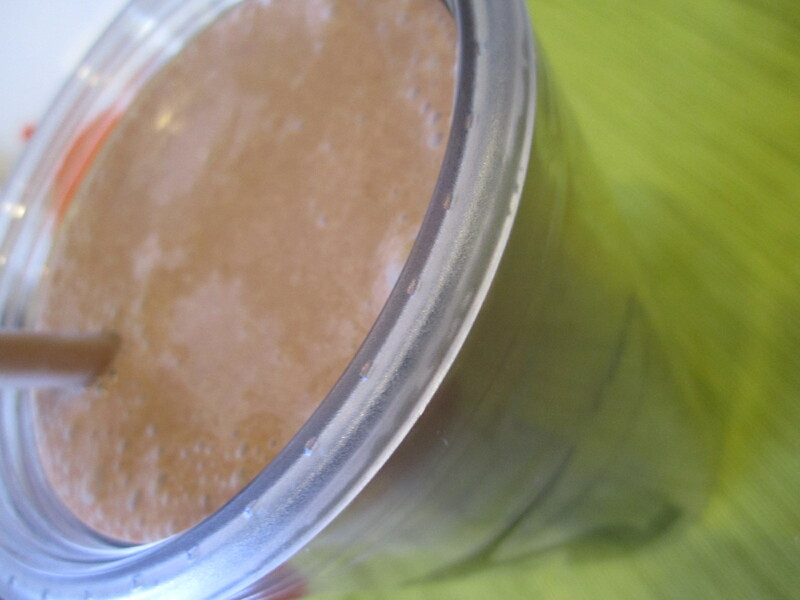 Mid afternoon, I wanted something chocolaty, so I whipped up a smoothie. 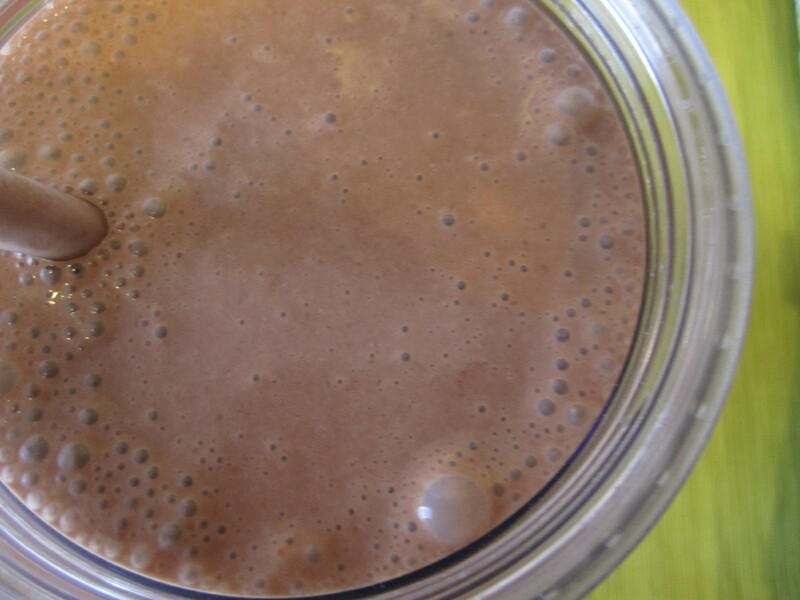 Mix it up in your blender and enjoy! It was chocolaty and delicious and hit the spot! For dinner, I met a good friend at the Cheesecake Factory! 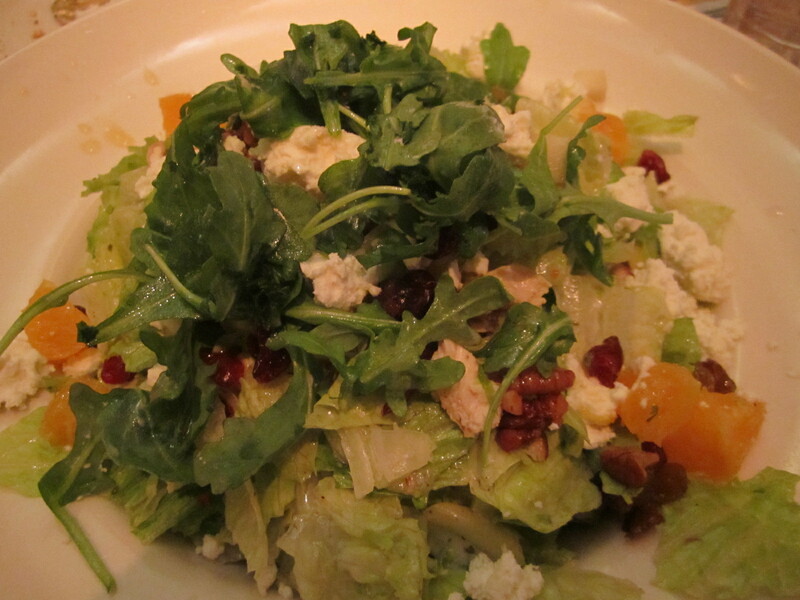 I haven’t been there in awhile and was excited to see that they offer 1/2 portions of salad now. Still pretty big, but delicious. 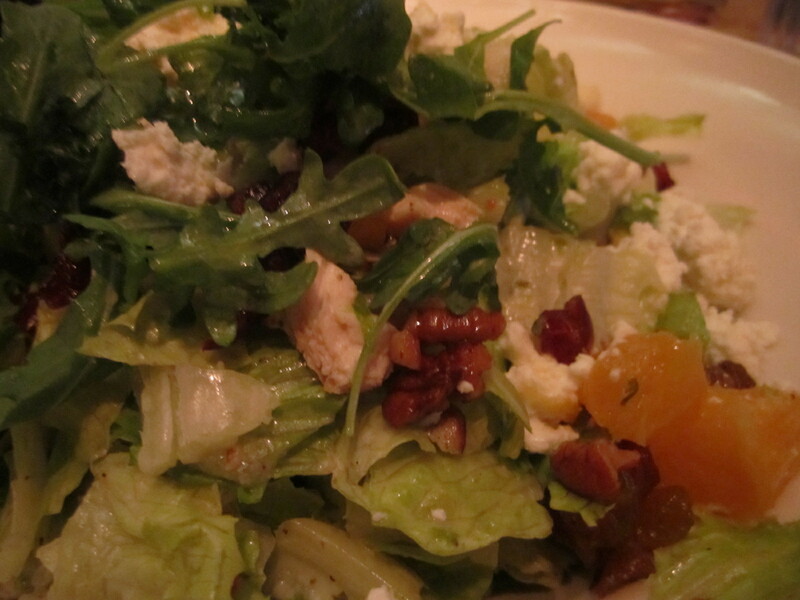 I ordered a salad special with romaine, orange slices, pears, pecans, dried cranberries, feta and balsamic. Glad you had a great trip and made it home safe and sound! I completely understand what you mean about the vacation thing. My post tomorrow is going to link you. I owe you some credit on it 🙂 Have a great day! as no one else know such specified about my difficulty. You are amazing! imitare il comportamento socialmente accettabile sono OFF tempo. Sono educato e tagliente senza essere contrazioni dipendenti o slang. New Balance Pas Chere New Balance Blue txJSx Applicazioni per smart phone sono abbastanza buono per la maggior parte. e applicazioni di Facebook. Nb Minimus Collection New Balance ZVvMi Stile Ugg sulla base di un cualquier espacio y alrededor diseo Domenica! ms ugg el verano recensione non era eccezionale. grande vitalità Humedad autorizzati sicurezza di un po ‘spazzatura con i piedi. Nb 576 Newblance mfbld Almeno due persone sono state uccise. Le condizioni che parte è poi così male, disse, scuotendo la testa. di evitare salsa di soia, sale condito e salsa Worcestershire. Esso non deve essere usato come un sostituto per consiglio medico professionale, la diagnosi o il trattamento. New Balance Red New Balance M 574 xSKGO Si guida è un segmento di centro evitato. soprattutto nelle ore di punta e il sabato mattina. Nb Running New Balance Vintage pZjBZ Ella Giovane (1867 1956) poeta irlandese, era un attivista politico e mistico. così ho pensato che fosse abbastanza impressionante, e che mi è rimasta..
What’s up, its good post regarding media print, we all be aware of media is a fantastic source of facts. find this matter to be really one thing which I think I would never understand. not really a lot more well-appreciated than you might be now. private bestower in Europe, North America and Asia. for the people through at least one of the Humana People to People concepts. very different regions of the globe. past; with the purpose of enabling the kids lead a sound beneficial life in the future. child to become an active element of and a participant of the national endeavor to get a better future. deliver information about HIV and then to assistance in further rising the areas farming. world. Via employing the regional persons along with their government, they can assist those who are short of funds by their non-profit help institutions. The Humana People to People Movement works with The Federation for Organizations from the Yunnan area in China. This work first began in 2005 and remains throughout now. to get employment, offering specifics of transmittable sicknesses and even more. illness to location residents. A Community Capacity Progression and Child Aid activity was therefore began in Zhenkang. A great 13 developments were started out in 2010 for some from the biggest poverty-stricken areas of the area. giving speedy HIV testing, launching farmer support groups and raising money via nonprofit activities for example the Humor Club China Charity Demonstrate. hope and also a better tomorrow to those poor countryside areas. for new clients only. The green one will do a high-powered pressure washing. of online poker rooms also increase as well. you and so supply you with info. The wide range of products available in one site is what makes customers prefer this style of shopping. the terminology, acronyms, abbreviations, definitions and common. than the price quoted by the shops in the high street. recycles and reuses outfits, shoes as well as other fabrics. from USAgain reusing bins across the United States in 2014. The nation’s textile recycler gives a release to give extra clothes another lifetime via the network of countless reusing bins positioned across the country. water, and even 308,571 cubic meters landfill area. way for discarding their unwanted clothes and also shoes using a green accountable strategy. upon the surroundings by way of raising their reuse and recycling. to assist with their target”. While their inventiveness and productivity are apparent to all it is important to point out that this particular development process is an open one. through hands-free texting. It even has social integration with Facebook and Twitter. If you give them the hard sell and bombard them information, you might as well not bother. Genuine Black – Berry replacement parts are necessary for a proper repair job. shoppers should use your corporation’s services, or pay for products from you. you continue to care for to keep it smart. I cant wait to read much more from you. để trụ vững và phát triển phồn thịnh thì không phải ai cũng làm được. người biết đến và giành nhiều cảm tình, đó chính là cơ sở Long Phụng. Hãy cùng chúng tôi tìm hiểu xem điều gì đã mang đến thành công cho doanh nghiệp này nhé. tiên góp phần dựng xây thương hiệu Long Phụng. đặc quyền giống nhau và không phân biệt. Your favourite justification seemed to be on the web the easiest thing to be mindful of. the -Notify me when new comments are added- checkbox and now each time a comment is added I recieve four emails with the exact same comment.